Lately there has been a heavy focus on Member Engagement, and whether we are moving the needle. 85% of my conversations in the last 60 days with Association Executives have focused on this, through various channels (such as member recruitment practices; e-communication with members, non-members and other stakeholders; and social media strategies and management). Many are looking for current statistics so that they have the ability to compare their organization to similar-sized organizations in Canada. However, while there are some individual reports out there (on social media, and benchmarks on email marketing), I could not find a study out there that covered Member Engagement Practices in general, so that we can all better document progress and successes. As a result, we have launched our First Annual Benchmarking Survey, which will cover off organizational structure, and membership engagement (recruitment, retention, renewal and engagement questions). Interested in participating? Anyone who works for an Association in Canada can share their feedback – providing they have an interest in the above noted areas. The study will take approximately 35 minutes to complete – and individual results will be kept strictly confidential. 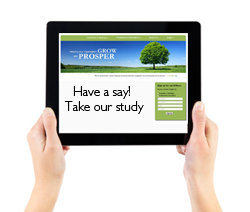 Results will be reported in aggregate and will not identify any specific response or respondent. Those who respond will have the opportunity to request at the end to receive a copy of the report as our thank you (a $149 value).